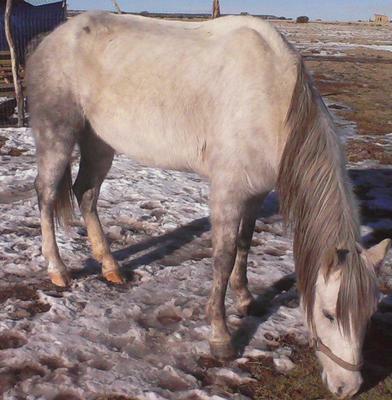 Sophie is a gray quarab mare who is about 6 years old. 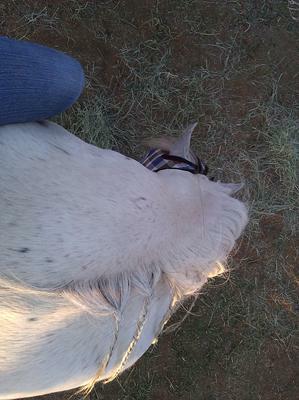 She is rather green right now and it is my responsibility to train her; since she is my horse. 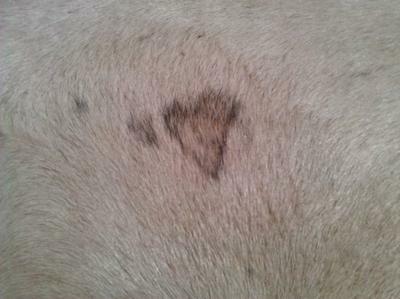 At the moment we are working with her picking up her hooves and she is doing beautifully. She has finally started letting me hold them up and pick them out. They're so long because last time the farrier came it was impossible for her to do anything. 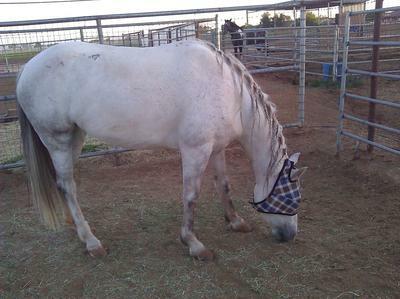 Now, however, I have been working constantly with my beautiful girl and she's finally ready for the farrier. I'm so proud!! We rescued Sophie in 2011 from starvation and she has filled in so amazingly.